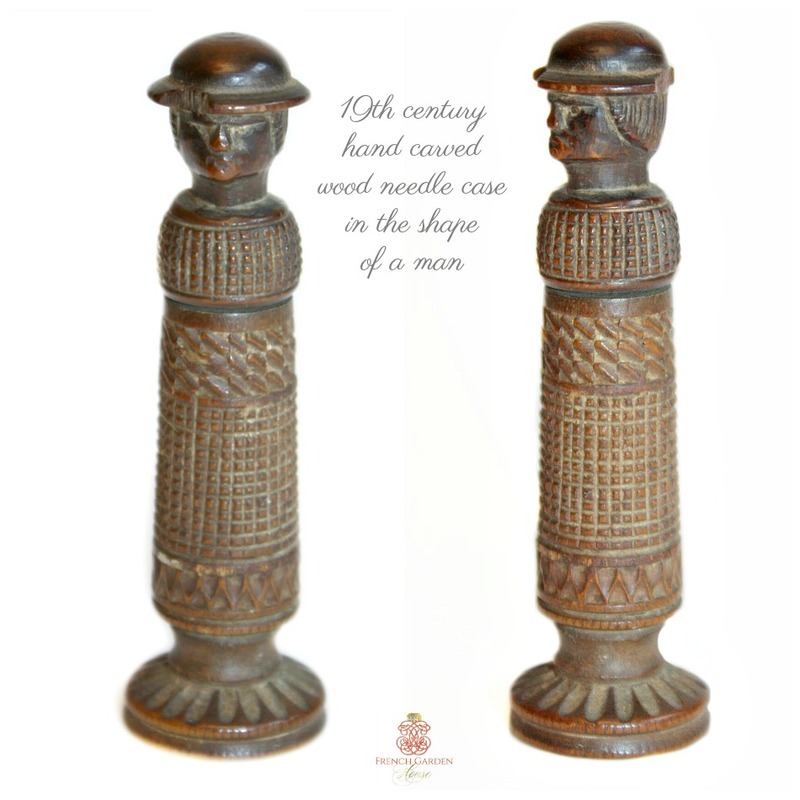 Early 19th century Hand Carved Needle Case, with intricate carvings all around, in the shape of a stately gentleman. Finely created with great skill and care, carved by a master carver, a needle case like this was considered quite a luxury for a lady's sewing basket. 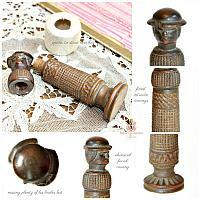 Not perfect, over the centuries this useful antique has lost a few little bits around the hat. 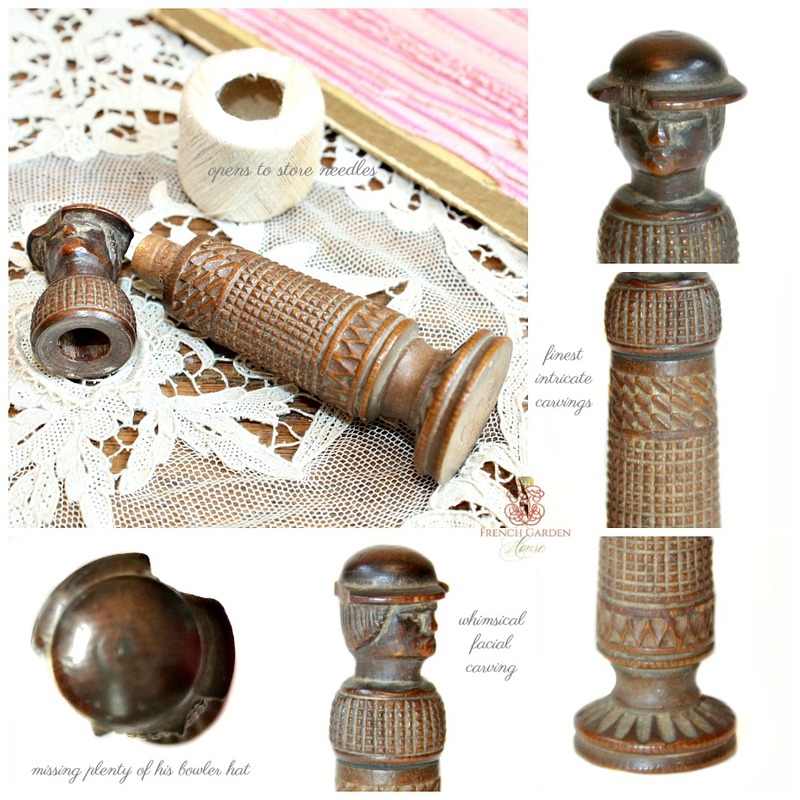 No matter, this is a rare and unusual addition to your sewing antique collection, to display with pride, or use to keep your favorite needles intact and sharp. 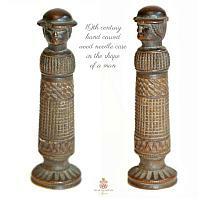 We have taken the loss into account with pricing for this rare figural piece.